A couple quick caveats, before I dive in: my first and only other powerhead before this was a good old Hydor Koralia Nano 425, so in some ways, this is going to be a comparison of the two, simply because I have no other frame of reference. Also, I have literally only had this pump for about an hour, so what I'm writing here is my initial impressions. In probably a month or so I'll come back with any updates to my opinion about the pump. That way I'll have had time to really familiarize myself with the all the different controls and settings. So, what's my initial impression? I'm very pleased. 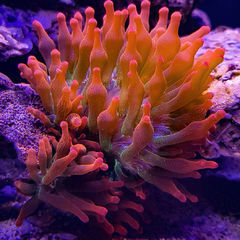 The KPS is definitely the best controllable pump on the market for nano reefs. Price: The price of the KPS is $125 - this includes the pump, as well as the wireless hub that lets you program and control the pump through the app, which is free. That's substantially more expensive than it's non-controllable cousins, the Koralia Nano 425 and the Koralia Nano 240, both of which are about $25, but it's also substantially cheaper than it's controllable competition, the Vortech MP10 ($285+) and the Maxspect Gyre XF230 ($290), both of which are overkill on most nano tanks, anyways (especially soft-coral dominated ones, like mine). Size/Shape: As promised, the KPS is quite petite. Here's a side by side comparison with the Koralia Nano 425: It isn't a ton smaller than the Koralia, but when you consider that it is capable of pumping up to 1000gph, it's small size becomes more impressive. It also just looks a lot sleeker - there's none of the boxiness in the KPS that the Koralia has. The other excellent thing about the KPS is that it's design gives you a lot of freedom to direct the current where you want it to go. I can't think of any other pump that matches it in this respect. For comparison, the Koralia pointed as far to one side as it will go, next to the KPS pointed as far to one side as it will stay (for the record, it can be pointed directly perpendicular to it's mount, but the magnetism isn't quite strong enough to keep it there): As you can see, the KPS soundly trounces the Koralia in that respect. I'm particularly glad about that, because one of my chief complaints about the Koralia was that it can't point as far as I wanted it too. And it's controllable competition, the MP10 and the Gyre, can't be pointed anywhere at all, so that's another point in the KPS's favor. Safety: There are only a couple things to mention here. Firstly, the design of the KPS system allows for two drip loops - one between the pump and the wifi hub, and another between the wifi hub and the plug. The illustration included in the package shows that very nicely: The second thing shown on that diagram (marked: attention) is the other, more minor, safety feature. Basically, the connections to and from the wifi hub are threaded - one side has a movable rubber ring that screws down onto the connecting wire (also rubber). One nice this about this is that in the unlikely event that water spills onto those cords (maybe you get sloppy during a water change or something), those connections are very, very well protected. The other nice thing is that you can't accidentally pull out one of the connections (nor can your kids or pets). However, while one of those connections was very easy to screw in, the other one was extremely difficult - I eventually managed to screw it in to the point that the connection was made, but it's still only about 2/3rds of the way screwed on. I'm not sure why it is that one was so easy and the other was nearly impossible, but be warned: you might have trouble screwing these wires together. App/Controllability: The app is free, as I mentioned, and available for both Android and iPhone. When you first open the app, you have three options: create an account, login with your Google account, or login with your Facebook account. I chose Facebook, because it was the most convenient option for me. Then, (at least for iPhones) you need to go to you wifi settings and choose the network called Aqamai_KPS_random_string_of_letters_and_numbers. It will ask you for a password. The password is 12345678. That's in the instructions, but it's very easy to miss, so I thought I ought to include it here, too. The instructions call it the default password, which implies that you could change it. I'm not sure how you would go about that, though. I didn't see anything about that in the settings on the app. Anyways, the set-up process is very easy. Definitely a lot easier and quicker than setting up Bluefish for a Nano Box Reef light. Once you are into the app, there are six different settings for the pump: Constant, Smooth, Night, Feed, Wave, and Random. I'd be interested to know what exactly Night mode does, and how it's any different from the others. Anyways, within each of those settings you can go in and set the flow rate. For smooth, wave, and (presumably) random, you pick both a maximum and a minimum flow rate that the pump oscillates between. This pump can do anything from 370gph to 1050 gph, so you have a wide range to choose from. One of the best features is that you can program a full 24 hour cycle. If you feed at the same times every day, this will be particularly nice for you - you won't have to bother going into the app and changing into feed mode manually, and then waiting 30 minutes and changing back to another mode, you can just program it to do that for you. Your fish will probably also pick up on that pattern quickly and learn to anticipate that when Feed mode changes the current a certain way, food will soon follow. The 24 hour cycle is broken down into 30 minute chunks, which may be annoying if you don't want to leave Feed mode on for 30 whole minutes, but otherwise is probably a bit more precise than you need it to be. I suppose it would be better if you could choose the intervals yourself, but that would also make things more complicated for people uninterested in that level of control. And before you worry that you have to individual set each chunk of time, the app has a feature like Excel, where you can drag a certain setting down for as many of the time periods as you want. My one complaint about it is that while you can drag it down, you can't drag it back up, so if you go a bit too far down the list, you'll have to individually change all the accidentally set time slots to what you want. 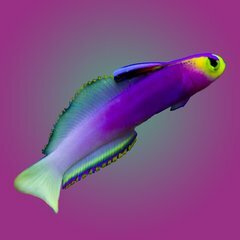 One other minor complaint about the app is that while it comes with pre-made programs for SPS and LPS, it doesn't have one for soft corals. Lastly, a weird thing about connecting to the device: instead of connecting to it as a device on your phone, you connect to it as a network. So you have to switch between your internet wifi and the device's network to be able to change settings on the app, and then switch back to normal wifi to use the internet. Presumably this also means that you have to be in the house to change the settings; you couldn't change them from work (though I don't see why you'd want to...). Performance: It's performed very well for me in the extremely short amount of time I've had it. So far I've only used the wave/pulse mode. I'll definitely update this section later with details on all the various modes, once I've had time to experiment with all the different combinations of settings and flow rates. It's very quiet, which is nice. Again, I don't have much to say about this yet, since I've only just gotten my KPS. All things said and done, while there are a couple minor issues with the app and I had a lot of trouble with connecting one of those wires, this really is a great powerhead, at a great price. With a flow range of 370-1050 gph, it's much better suited to nano reefs than any other controllable powerhead I know of. And if you upgrade from a nano to a larger tank, you could just buy one or two more of these, which would be a lot cheaper than buying multiple Vortechs. I don't think there's any way to link multiple KPSs together, which would be a bit annoying, but you'd save hundreds of dollars, so I think that evens out. Still, making a way to link up multiple KPS pumps for people with larger tanks would be a good thing for Aqamai to do in future iterations of this powerhead. So I've narrowed down my potential AIO's to start back up again with and I have a moderate budget and I would like to get good equipment but can afford the great stuff (like a MP-10). I really like the USA current E-Flux 660 Because its controllable and I've heard pretty good reviews. Im basically wondering if I could provide all my flow in my nuvo 30l with one Current USA Eflux wave maker and the stock return pump. I will be keeping corals that prefer low to moderate flow. Thoughts?? Nero™ 5 Power Head - Anyone else thrilled?! 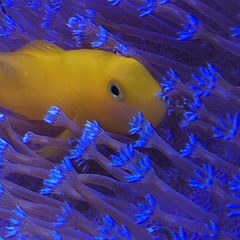 AI has always been at the helm of "lighting" for reef tanks. They have certainly accomplished great success with their current product line. Now they are coming out with their new power head. The NERO 5 Powerhead - http://www.aquaillumination.com/flow/nero/nero5.html Priced at $299.00 - this definitely doesn't fall in place for budget reefing. But for those who have been using the MP10 or MP40s . . . what do you think? I just wanted to learn what everyone thinks about this new little tech packed with so much power (it can push up to 3000 gph). Do share your thoughts! Hi everyone! I’m having an issue with my tank.. the water is pretty cloudy and I’m not sure what the issue could be. I recently bought an aquatop cps-1 power head for my nuvo fusion 10 tank. Right now I only have some live rock and dry rock with 2 clowns, 1 bicolor goby, 8 blue leg hermits, and 5 snails. The power head was so strong it was kicking up with sand and making a sand storm. It’s a 256 gph power head. Im also not happy with the current aquascaping I currently have, what can I do about that? Do I even need the power head? Should I get a smaller one? I was also curious if I should do a complete start over on the tank. I have 10 gallons of water ready for the tank and a bottle of bio-spera as well. Any suggestions on what I do? If I do end up redoing the water, etc. 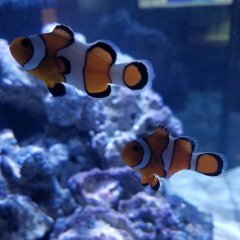 What do I do with my fish? Thanks! 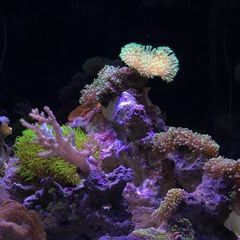 Hi Peeps, Just want some advice really - I have 2 Koralia Nano powerheads for my 14 Gal reef, one @ 204 g/ph and the other @ 422 g/ph - I want the water to sway for better surface agitation and thinking of replacing the 204g/ph with a 845g/ph Koralia Evo, would this be ok for my tank? I'd be really grateful for any advice! Cheers! Hello all! I feel that I need more flow in my Fluval spec 3 2.6 gallon pico reef. 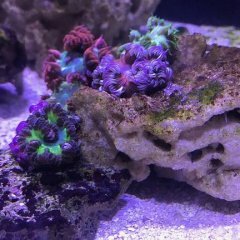 It is a mixed reef with a monti cap some torches GSP zoanthids and candy cane. 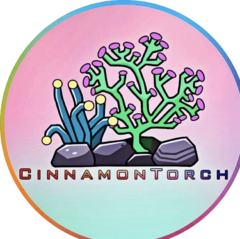 I was wondering if any of you could point me in the direction of a good powerhead that will be enough flow but not blow my corals off the rock and start a sand storm. I want something that has some controllability in order to create a sloshing or standing wave. Price is of no concern. Thankyou! Alright, so I did some searched and didn't really found something that I found helpful per se. I'm just wondering what kind of setting I should use for a Jebao SW-2 wave maker on 13.5 gallon nano (EVO). I currently have softs corals and 1 SPS in it. I also found out that the stock powerhead is WEAK as f*ck so I'll probably have to upgrade that for more circulation. Looking for a nice MP10. Let me know what you have. Thanks!